•	All other tasks as directed by the Base/Senior Base Engineer. •	May entail occasional northern travel. •	General knowledge of Air Inuit's Fleet. •	Must be able to obtain and maintain Airport Security Clearance (RAIC) including an airside driver’s permit. Air Inuit Ltd provides a company contributed RRSP, a Group Insurance (life, dental, health care, short and long term disability), 6% vacation, a retirement allowance program, access to reduced airline travel rates and various other innovative benefits and recognition opportunities. 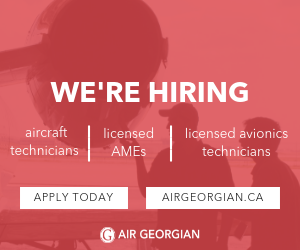 To apply for this vacancy, please send your resume by visiting http://www.airinuit.com/en/job-listings. Air Inuit is an equal opportunity employer and encourages women, Aboriginal people, persons with disabilities and members of visible minorities to apply.